Today The Friday Find is all about DIY Christmas Presents. This is the time of year when everyone rushes out to buy the perfect present for those they care about. Many times we forget the way to the perfect present is often right in our own hands. That is when we take the time to make the gifts ourselves. In these days of tight budgets a little imagination can go a long way to make something special for those who matter the most. There are so many great projects to choose from but, today I will limit it to three easy projects you can do yourself. The first DIY handmade pick is a crochet pattern for Mary Jane Crochet Slippers by Accessorise. The simple stitches make this project a great for beginners and beyond. Since this slipper is styled with a cute little strap and a chic ankle flower it makes simply irresistible and is sure to be loved by the recipient! This pattern is available in PDF form and is the perfect little handmade project to make in your spare time. The next DIY handmade pick is for a DIY New Sew Clutch Kit by sew chic boutique. 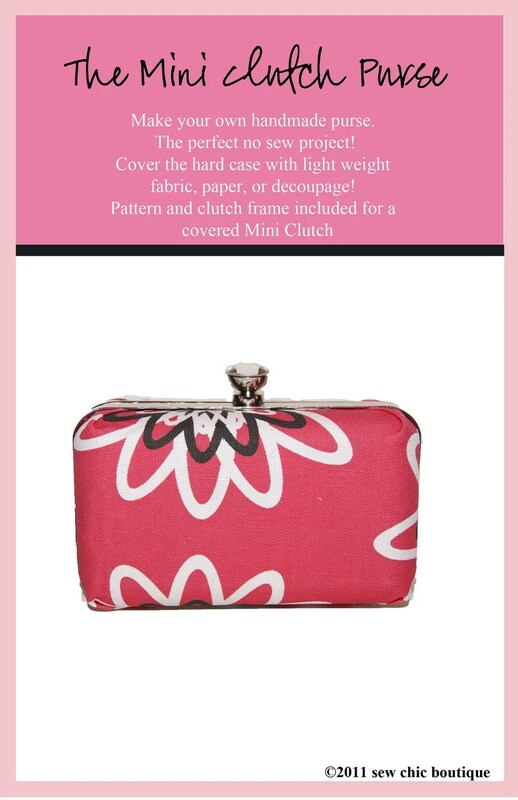 This wonderful little clutch kit allows you to customize your clutch by choosing a fabric of your choice to match the personality and style of the person it’s being made for. With no sewing skills required and step by step picture instructions you can make this little clutch in less than an hour and have the perfect handmade present. 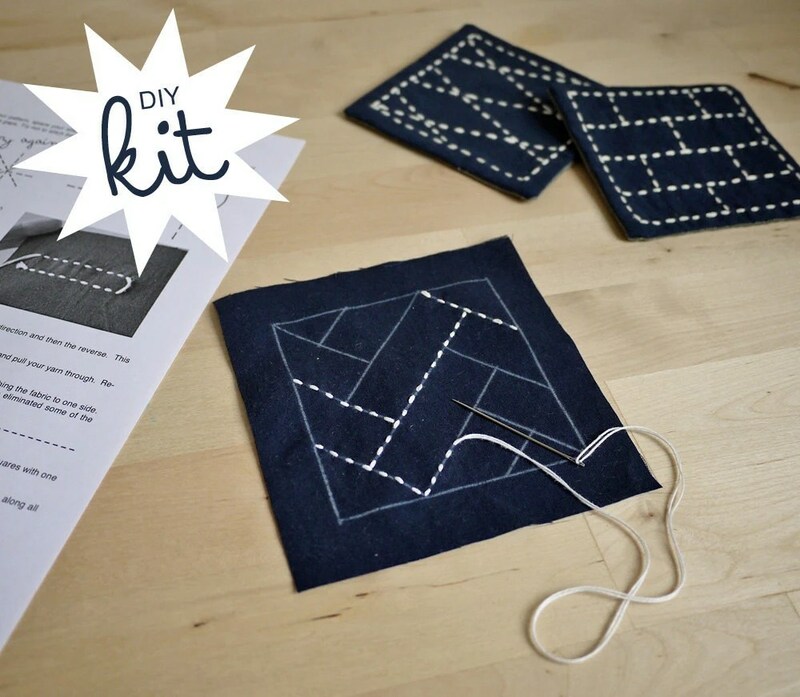 The last DIY handmade pick is for a DIY Kit for a set of 4 Sashiko Embroidered Coasters by Sake Puppets. These wonderful coasters are chic, fashionable, and simple! This wonderful little kit includes patterns, illustrated instructions, and fabric to make doing this project breeze. In just a little while you’ll have the perfect gift for the home of a friend or co-worker who is sure to love these stylish coasters! Christmas is a time for giving the gift of our love, our time, and our thanks. Take time to think out of the box and consider creating something handmade. Not only will making something handmade save you money but, you’ll be making special memories for the person you choose to give your gift to. Remember creating a handmade present allows you to make something custom but, it also allows you the chance to be the artist as well! I purchased this bag from you in green. It is adorable, I LOVE it. Will be buying more. If I didn’t have a foot condition, I would order the Mary Jane crochet slippers. Too cute! I am so glad you love it Tanya keeping up the great writing on your awesome blog!! !